Experienced, energising conference speaker. We are all in the business of service. Over 50 keynotes delivered in 2018. Thanks Jaquie Scammell for the talk today at CSIRO Business Development Connect. You helped remind the high IQ staff about the importance of trust being the centre of doing business, whether you’re selling Science… or Burgers! EQ and ‘Good Business’ is about building on the human connection. Your keynote was incredible, and really resonated with the audience; you inspired lots of people. I just wanted to say thank you so much for joining us to speak at the Symposium this week; it was fantastic to meet you and an absolute pleasure to have you with us. Jaquie really engaged her audience. Her keynote speech was fantastic! We found Jaquie’s presentation refreshing and it hit the mark. What simple and clear messaging at the seminar this morning. 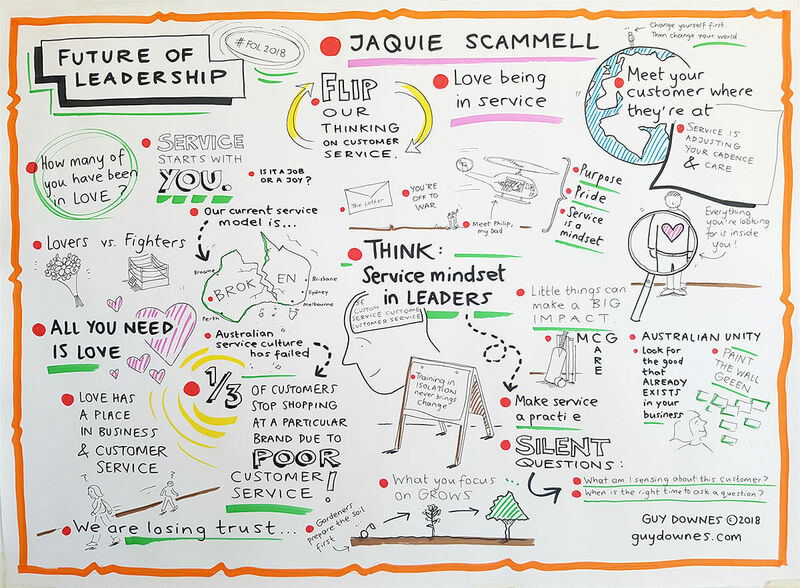 Jaquie Scammell thanks for your insights and I agree – service is all about great leadership! Can’t wait to finish your book. Hi-res headshot, keynote blurb, MC intro and more – everything you need as an event coordinator.